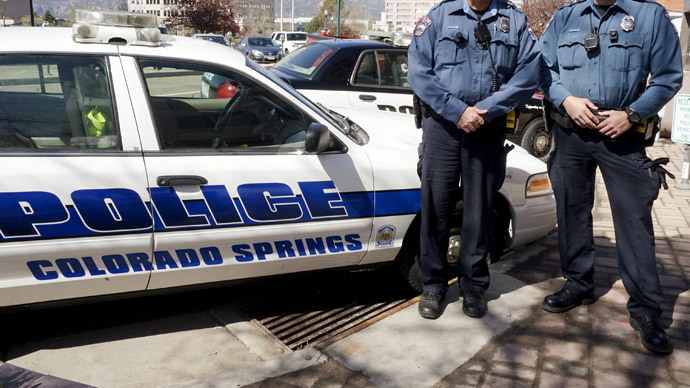 Sargent Greg Miller was driving his car through an intersection in Denver on Friday morning. "Next thing I know ... dirt - I'm assuming dust from the airbag - was floating around," Miller told local TV station KUSA. "I hear the rushing water, and all I see is a dirt wall in front of me." The police officer was taken to a hospital and soon discharged. His SUV, however, was not that lucky and totally lost.